It’s the end of the school year–your feet hurt, you’re tired-the room’s a mess, but hey! You’ll find more than THREE Music Class End of Year Activities in this latest post. And although I’ve been doing this routine for many years- it’s different EVERY SINGLE TIME! Why? Different kids, different teachers, different principal, different ME- No worries though- there are some EASY ways to get through those last few weeks of school. Keep reading to grab the FREE Three music class end of year activities! The kids are CRAZY- Right? Not only are the end of the year wiggles in full force- but this year my fellow teachers and I went on STRIKE! So my kiddos were away from school for 6 WHOLE DAYS! When we came back on a Friday- everyone was a bit nervous- but it wasn’t as terrible as I expected and there was a great deal of respect from the students- they actually seemed more kind- NICER? That really helped me out a lot! And I got a great idea for a new Freebie! Keep reading to find out what I just put in the Resource Library. I’ve found that most of my students do NOT know what a musical is, or have never been to the theater, and music and humor, stories of love, growing, change- are TIMELESS. So I’ll be showing some of my composer and music videos in the upper grades. I’ll be doing a variety of creative movement activities with my K-2nd graders. With the leftover time we’ll be playing BEAN BAG GAMES. This activity filled blog post will give you some great ideas and you’ll want to SUBSCRIBE to the free resource library to get this FREEBIE! Scarf activities can work well with younger students- again- everyone’s hands are busy with their scarves. This is a song I wrote and added in some movement graphics. Have your students follow the path of the dragonfly! Subscribe and you can have this Free SCARF CREATIVE MOVEMENT Resource! Stretchy Bands are my favorite for the end of the year because everyone has to HOLD ONTO THE BAND and it’s so easy to keep the classroom management in check. 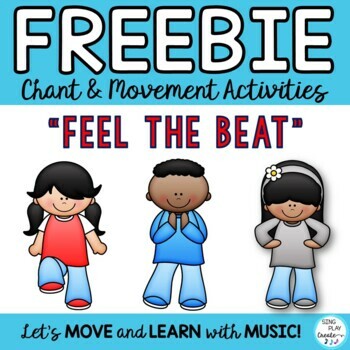 Here’s the Link to the Store The Stretchy Band Resource is a Music and movement Activity Songs, Activity directions, Posters, to get your students moving and learning with Stretchy Bands. Perfect for Music, PE, Preschool and Special Needs Teachers to help students exercise fine and gross motor skills, stay focused, burn energy and have fun. Creative movement activities provide opportunities to also practice social and team working skills and experience positive exercise! The songs can be used with stretchy bands, scarves and parachute movement props. 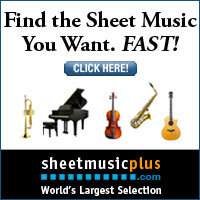 Home schoolers will love the music and movement activities. Activities can be adapted for Preschool up to Grade 6. And be sure to head on over to BEAR PAW CREEK and purchase a stretchy band or other movement props. The most amazing thing about the bands is that it keeps everyone together and hands are engaged- no poking, fidgeting! To get my students calmed down I like to play JOHNNY ONE HAMMER! There are several versions of this song. I have my students lay down on their bellies and sing and play the activity. Here the teacher is having her students sit in a circle. 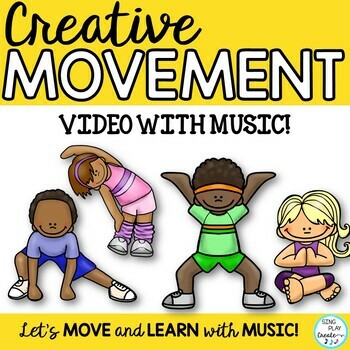 And I found this easy to use creative movement activity you can use anytime! Dalcroze Eurythmics to keep “Calm” and Teach On. Watch how the students react to the music of Beethoven’s “Fur Elize”with hand size balls. I imagine they could use bean bags if that’s what you had to use. Tennis balls would probably not work as they would bounce and roll if dropped. Second Grade Music Class: My students are learning the dance to “Old Brass Wagon” as part of their music class end of year activities. I have the McMillan Making Music Series curriculum in my classroom, so I have the music for the dance, directions and the dance practice recordings. You can dress up with hat and cowboy clothes- use props or just use web graphics and videos to help your students get in the “swing” of this fun dance. It takes a whole class time to teach the dance. I’ve found it helpful to have 2 class times to do the dance. This way students can pair up with different buddies and sing the song as well as dance. Here’s some general guidelines for teaching dancing. I make a fake fire out of pool noodles and tissue paper flowers and gather my students around the fire. We’ve been walking all day, the chores are done and now it’s time to give thanks and celebrate the good things in life. In pioneer life, everyone had to do their job. There weren’t any stores, or cars, or lights, or phones. So if your job was to get the water- you had to do it! It required a lot of teamwork. So when we’re dancing we need everyone to be helpers and be respectful. I really do try to keep it light and fun- so I keep talking in my cowboy voice and I say things like, “If y’all don’t quiet down, then you’ll be picking up cow chips all day tomorrow!” (my students have just finished a unit on Westward movement). I remind them how bright the stars are, and that the coyote’s won’t come into the camp as long as we keep the fire safe. And to stick together. This Youtube Video has the lyrics and music. You could use this to teach the song and then choose one of the following videos to teach the dance section. I found a couple of videos with variations on the dances. But it would be easy to show the video and then teach each dance step one at a time. I like this version because the students are singing and the teacher is calling the directions out ahead to help the students- I also teach it the same way. For your upper elementary students music class end of year activities, you might like this game. “Four White Horses Up the River”. This version is in a “hip-hop” style and sounds totally cool. Students may need a little direction on switching groups. Maybe try having just the girls switch or just the boys to keep the social chatter down. I like the video because it’s got the lyrics and some fun music. The range is a bit low-but you can use it to teach and then keep changing the key to go higher and higher. Some of you might enjoy having the kids sitting in small groups and playing games. Here’s a neat trick on how to keep your dice under control. HOW TO GET EVERYONE CALMED DOWN? To get my students calm, I will put on some quiet music and do some yoga poses with them for about 6-8 minutes. I use my “Move Your Body” video that has a Yoga section at the end. When I make my powerpoint of activities, I insert the video at the end of the presentation and then I have it ready to go. The end of year is a bittersweet time for everyone in music class. There’s been fun, bonding and learning and there’s been some tough times too. It’s the END OF THE YEAR! And don’t feel bad if it doesn’t end the way you think it was going to end- I NEVER DREAMED I’D STRIKE! No matter what you’re facing this year, try something different, take a deep breath and just slow everything down. Pause instead of react, smile when you want to frown and walk forward when you want to run away- and you’ll find that you can end music class on a positive note. Y0u’ll want to subscribe to the Free Resource Library and get this new Freebie! It comes with a Song and Game, Rhythm writing and elementary writing activities. Head on over to the Store and Download these Freebies to help you with the last few weeks and music class end of year activities! I want my students to SMILE when they come back in August! That’s why I’ll give my music classes my best effort (despite the STRIKE) with some fun music class end of year activities. Here’s to a fun filled week of music class end of year activities.